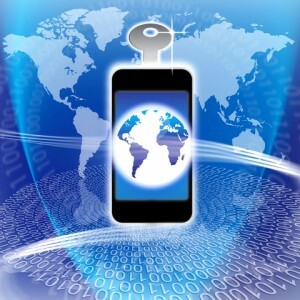 Mobile broadband is one of the world’s most transformative technologies. It is not only revolutionizing social networking among businesses and individuals; it is also introducing a new generation of innovative products and services to the marketplace. At the same time, the mobile platform provides small and minority entrepreneurs unique avenues of market entry that are less constrained by barriers such as the lack of access to capital. The telecommunications industry is already the nation’s leader in supplier diversity. Minority entrepreneurs should leverage this unique relationship to become more fully integrated into the mobile broadband supply chain. The mobile broadband ecosystem can increase the capacity of minority businesses as well as employment and income in minority communities. Minority businesses can become more fully integrated into the mobile broadband industry as corporate suppliers, retailers, wholesalers, resellers, software and application developers or cellular and wireless operators. Broadband, and especially mobile broadband, provides an ideal platform for minority businesses because it facilitates start-up, growth and innovation at lower costs. For example, research indicates that in 2008, there were 100,000 registered iPhone application developers who were small-business owners and they develop five of the top 10 applications sold in the Apple Store. Broadband, like other telecommunications industries, creates jobs by way of infrastructure development and routine business operations. The direct job creation in mobile broadband has many spinoff effects. For example, consider how GPS applications have migrated from desktop computers to automobile components, to smart phones and more recently even to golf carts and rangefinders. New and improved technologies are driving mobile broadband deployment. Technologies include text messaging, e-mail and twitter, photo sharing, internet access, location-based applications, online banking, videoconferencing, cloud-based computing and social networking. Many of the new technologies create excellent entrepreneurial opportunities for minority and small business owners. Besides, the new products and services can be commercialized without heavy dependence on external capital and funding, which has been a major barrier for minority business formation and growth. The world is shifting from narrowband to broadband and within the latter, mobile broadband is emerging as the dominant platform. Minority entrepreneurs must participate in this rapidly emerging platform.